This is an original production cel from the Hanna Barbera Studios production of Hollyrock-a-Bye Baby (1993). 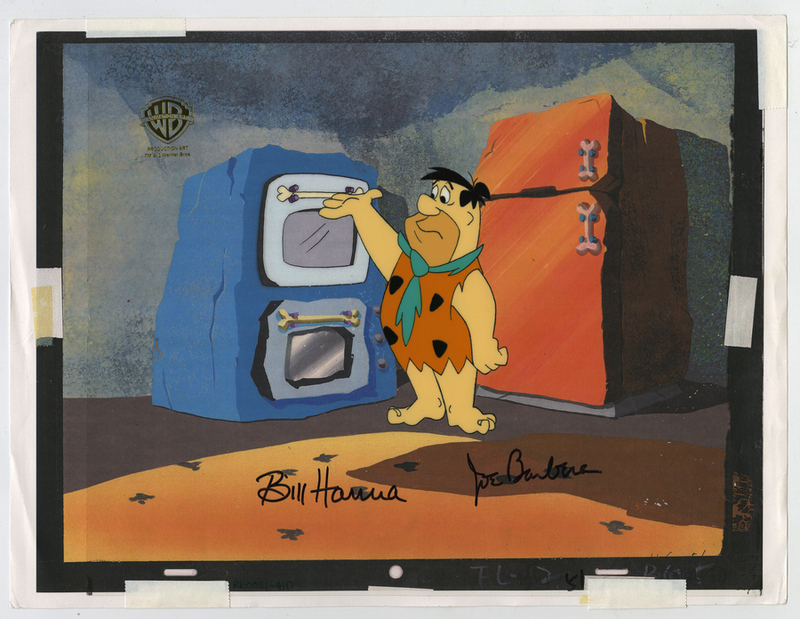 This hand-painted cel features Fred Flintstone standing with a refrigerator and double oven, and was created at the studio and used during the production of the film, representing an actual frame of animation that was photographed and appears in the cartoon. The overall measurements of the piece are 10.5" x 12.5" and the image itself measures 5" x 3.5". 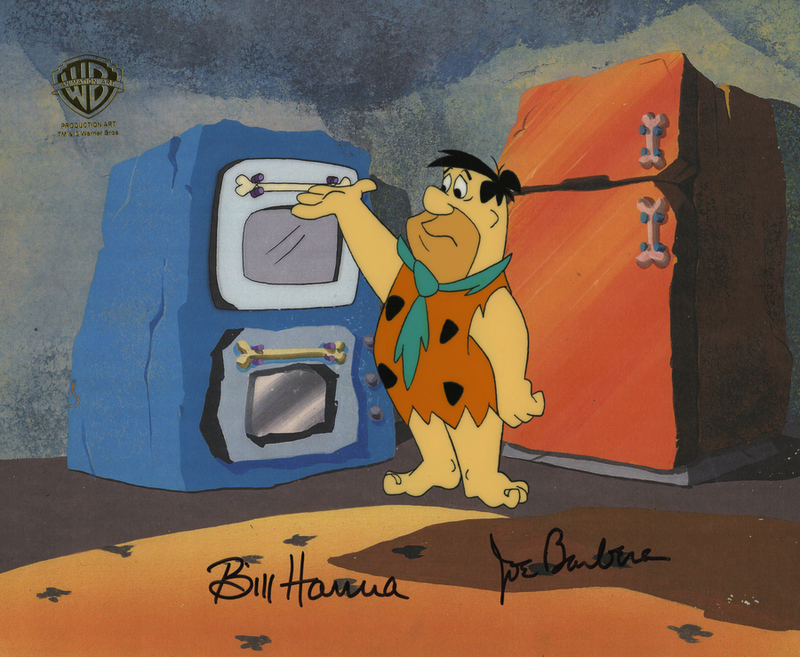 This cel is in great condition and has been hand-signed by legendary animators, Bill Hanna and Joe Barbera. This piece comes from the studio's art program and has been paired with a color printed reproduction background. 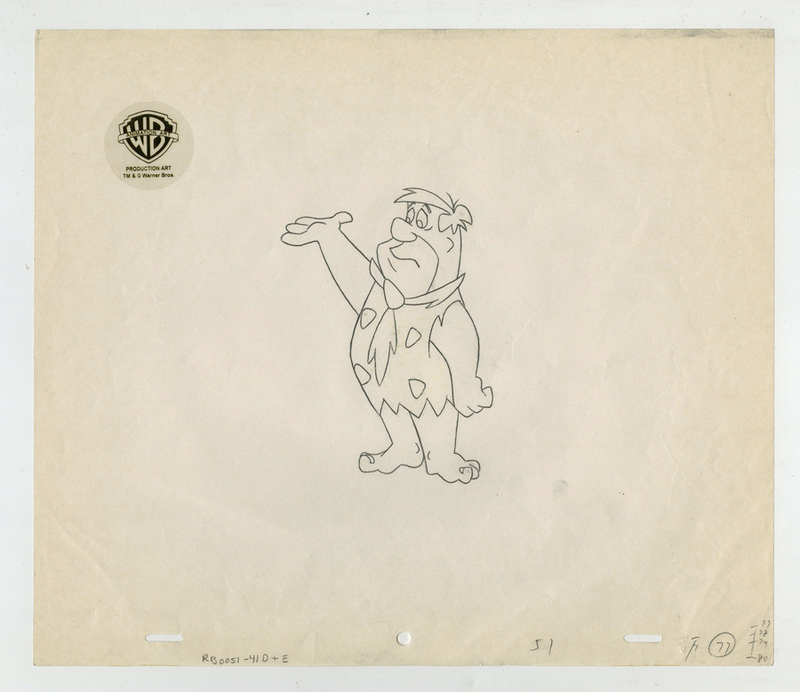 The matching production drawing of Fred is also included with this cel.